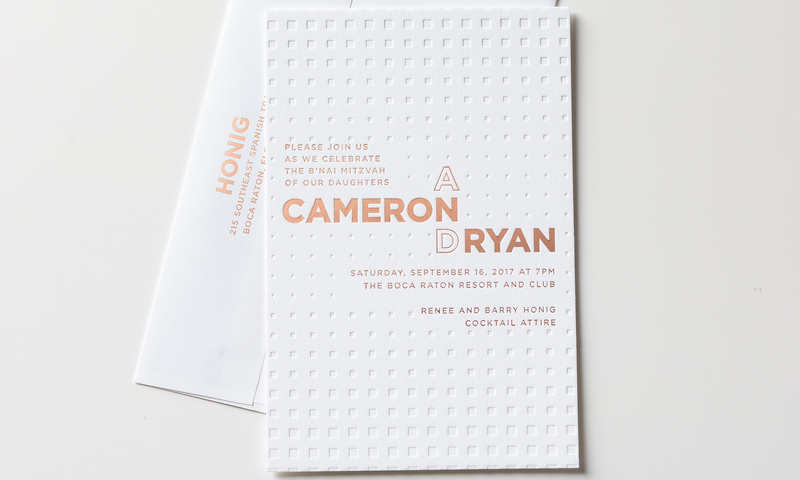 This modern b’nai mitzvah invitation is a beautiful paper rendition of their acrylic invite. 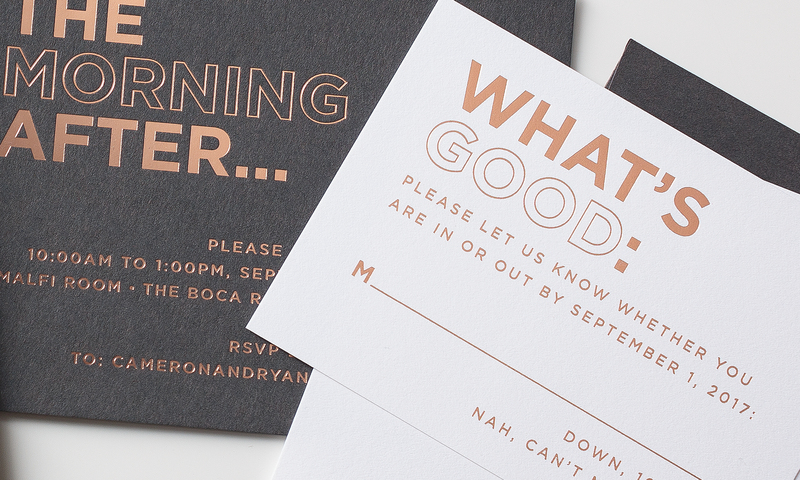 By letterpressing the pattern on the white paper, we have created a clean invite that contrasts to the rose gold foil. The insert cards complete the set.